Currently viewing the category: "Holiday Season"
Shortly after Christmas there comes a point when cleaning up the decorations becomes the monkey on your back. For me it’s a time represented by some cursing and trips to the attic with various boxes and bags to await next year’s rush of holiday spirit. Somewhere between taking down the tree and the last close of the attic door, I must inevitably deal with the lights. It does not go well. I should get reels or some system of organization, I know this; everyone seems to have a system and most of them work to some degree. 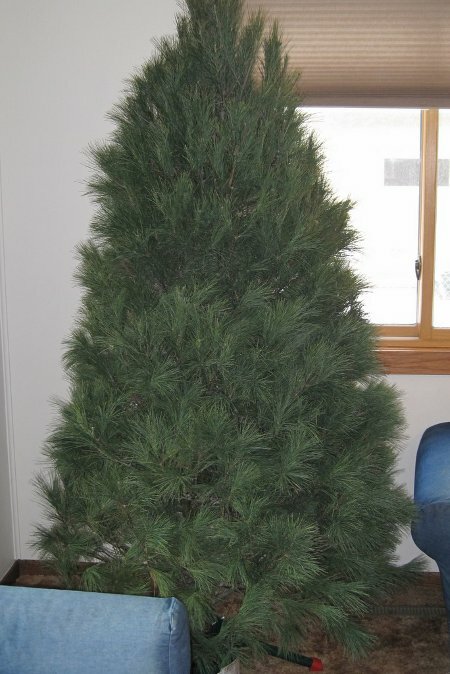 I roll them like a vacuum cord around my arm and then toss them in a box until next year. 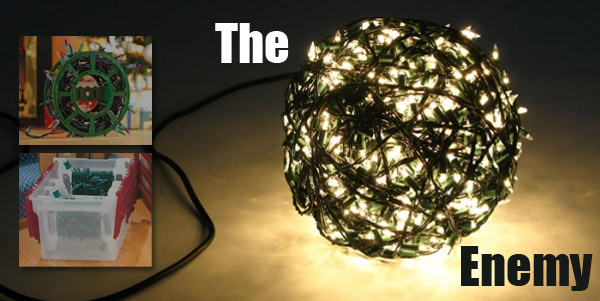 It provides some frustration in the untangling department the next year, but it is a quick solution. The Day is upon us. 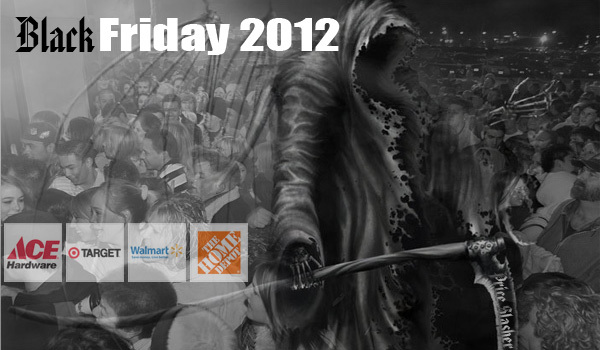 Toolmongers are, of course, aware that not all Black Friday “blowout specials” are actually special. 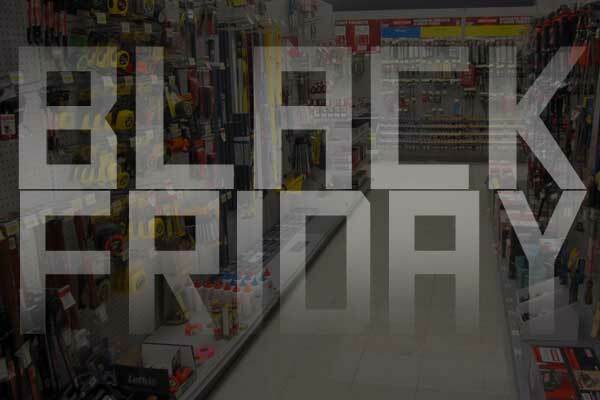 Nevertheless, it’s still nice to have access to the Thanksgiving weekend/Black Friday sales on tools, home improvement, and other shop gear. 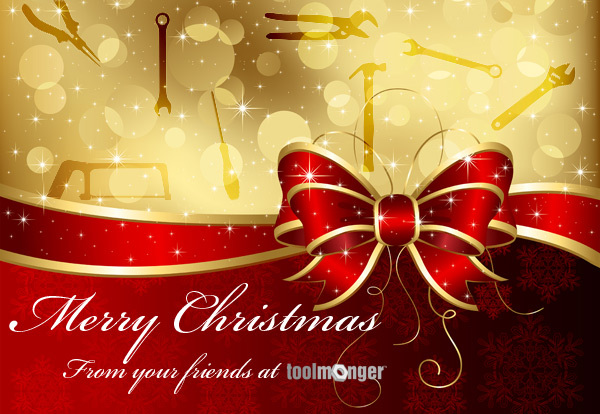 It’s Christmastime, and here at Toolmonger it’s a time to be with family and spread cheer. Also, we plan to sneak a little time in the shop to putter about with the tools we often don’t have time to play with. It’s been a another good year at Toolmonger and yet again, largely because of you, our readers, we learned a great deal about tools and building great projects. We crank out content every week because we love reading your comments, listening to your calls, and learning new things about tools. Hanging out at Toolmonger is sorta like hanging out at a friend’s shop — which just happens to contain all the tools and knowledge of millions of readers. So thank you for taking the time to read and comment, and please accept a heartfelt Happy Holidays! from everyone who makes TM happen. 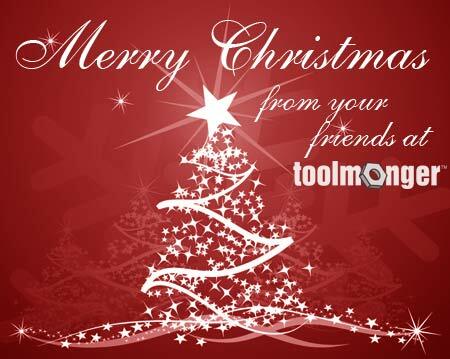 It’s Christmas Eve and here at Toolmonger it’s a time to be with family and spread cheer. Also, we plan to sneak a little time in the shop to putter about with the tools we often don’t have time to play with. 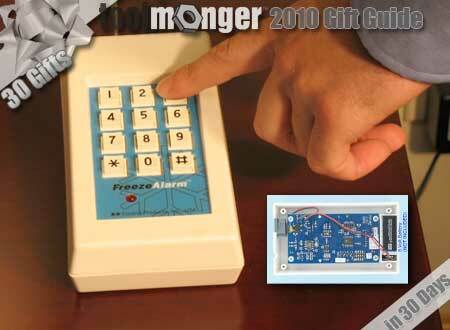 It’s been a great year at Toolmonger, largely because of you, our readers. We crank out content every day because we love reading your comments, listening to your calls, and learning new things about tools. Hanging out at Toolmonger is sorta like hanging out at a friend’s shop — which just happens to contain all the tools and knowledge of millions of readers. Every year you’ll see a number of holiday “gimmick” items gracing shelves about this time of year, stocked by folks who hope you’ll find ’em tempting — especially if you’re looking for a gift for someone who has lots of tools. The “features” seem to set the tool apart from others, many of which your giftee will likely already own. Two years ago it was the Black & Decker Autotape. Is it junk? No. It does exactly what the box says it’ll do. But in our experience — and the experience of a number of friends who got them as gifts over the last few years — the battery dies quickly, and then it lies in a drawer unused. Instead, consider purchasing a basic, high-quality tool that’ll give service for years. You can pick up a super-nice short tape — like, for example, the Stanley Bostitch 16′ pictured above — for $20 or even less with some careful shopping. And even if your favorite Toolmonger already owns a short tape, it never hurts to have two. Or three. In short, it’s the kind of gift that’ll always bring a smile because a) it’s useful, b) it’ll remain useful for years, and c) it’s thoughtful. 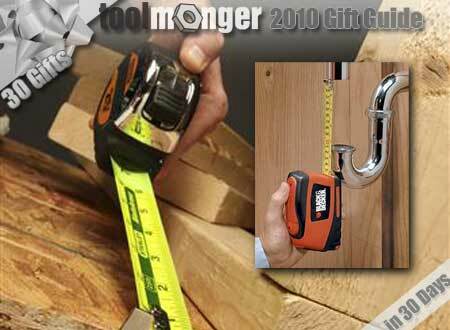 Looking for a killer “big present” for your favorite DIYer? 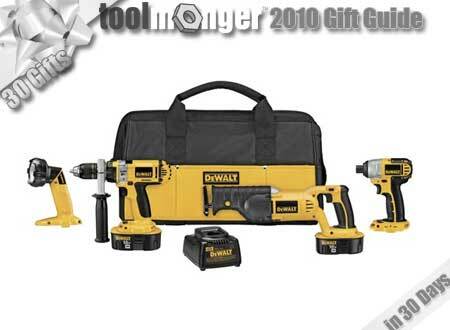 Sure, lithium ion is the hot ticket, but step back to Ni-Cd and you find deals like this: a four-piece DeWalt cordless kit — hammer-drill, impact driver, recip saw, and flashlight — for under $400, complete with a battery and charger.